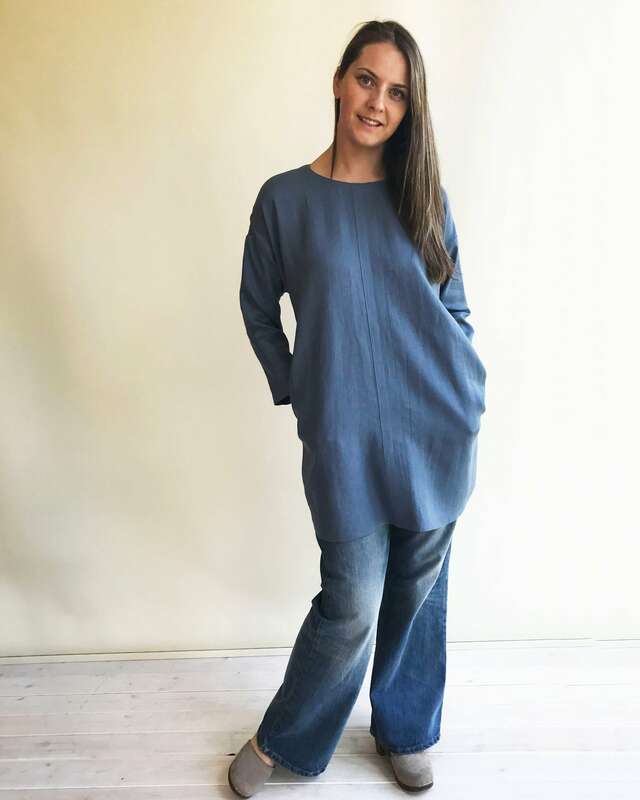 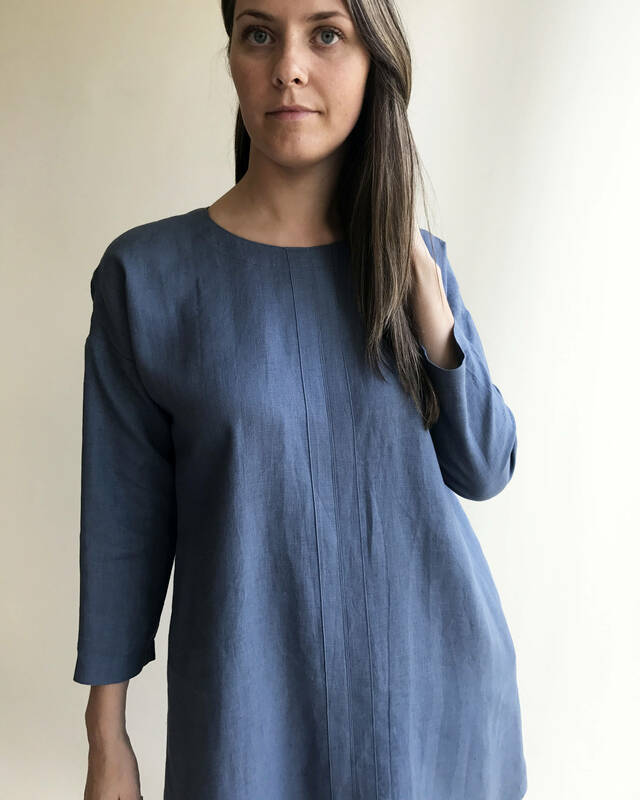 Comfortable blue linen tunic dress with pockets and long sleeves. 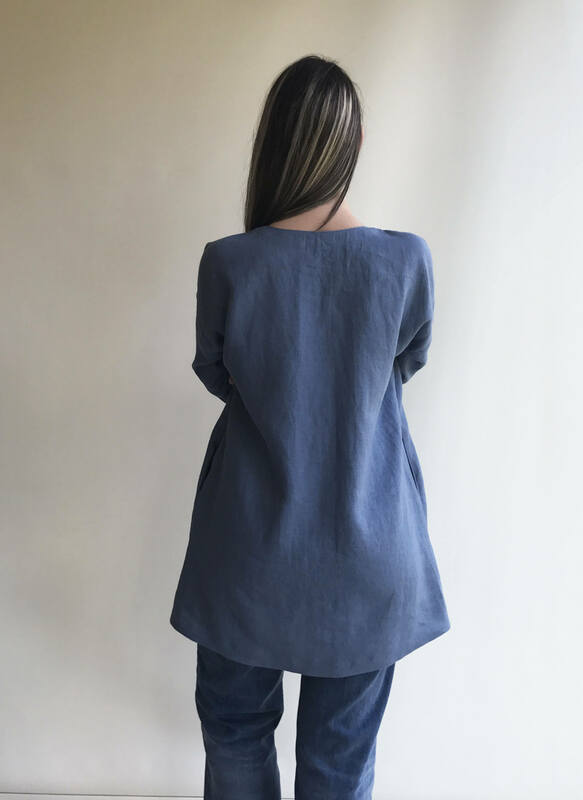 Made from 100% pure linen in smokey blue linen. 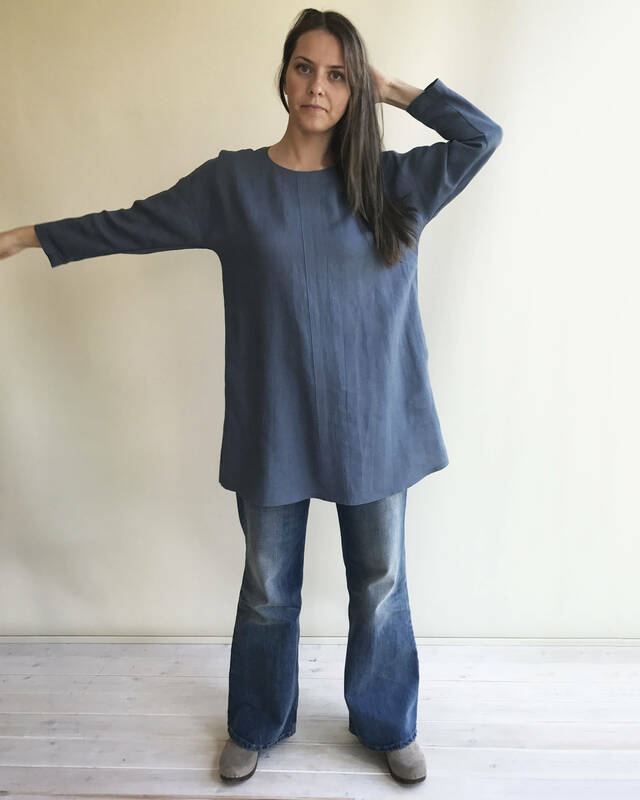 The tunic laid flat measures 21.65"/55cm at bust and from shoulder to hem 33.8"/86cm.